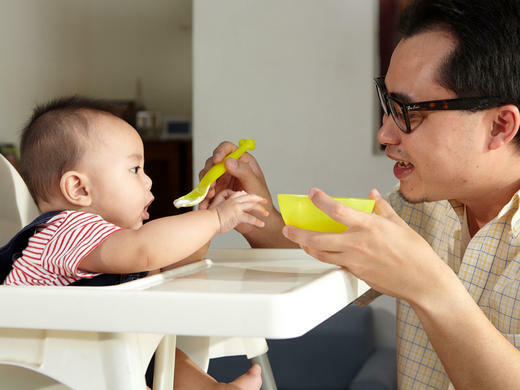 A report published in the journal Pediatrics shares information on a study that evaluated the sodium and sugar content of US commercial infant and toddler foods. The study reviewed a 2012 nutrient database of 1074 US infant and toddler foods and drinks developed from a commercial database, manufacturer web sites, and major grocery stores. Products were categorized on the basis of their main ingredients and the US Food and Drug Administration’s reference amounts customarily consumed per eating occasion (RACC). Sodium and sugar contents and presence of added sugars were determined. The study found that all but 2 of the 657 infant vegetables, dinners, fruits, dry cereals, and ready-to-serve mixed grains and fruits were low sodium (140 mg/RACC). The majority of these foods did not contain added sugars; however, 41 of 79 infant mixed grains and fruits contained 1 added sugar, and 35 also contained >35% calories from sugar. Seventy-two percent of 72 toddler dinners were high in sodium content (>210 mg/RACC). Toddler dinners contained an average of 2295 mg of sodium per 1000 kcal (sodium 212 mg/100 g). Savory infant/toddler snacks (n = 34) contained an average of sodium 1382 mg/1000 kcal (sodium 486 mg/100 g); 1 was high sodium. Thirty-two percent of toddler dinners and the majority of toddler cereal bars/breakfast pastries, fruit, and infant/toddler snacks, desserts, and juices contained 1 added sugar. Commercial toddler foods and infant or toddler snacks, desserts, and juice drinks are of potential concern due to sodium or sugar content. Study researchers advise physicians to speak to parents about carefully reviewing nutrition labels when selecting commercial toddler foods, and to limit salty snacks, sweet desserts, and juice drinks. They add that reducing excessive amounts of these ingredients from birth to 24 months can lead to better infant and toddler health now and as they grow.